A mild soap suitable for dry skin. Calendula petals were regarded as the emblem of love in medieval times. Today it is widely use in creams and soaps for its many skin healing properties. Much of the healing properties are because of their high levels of carotenoids-vitamin A like compounds. 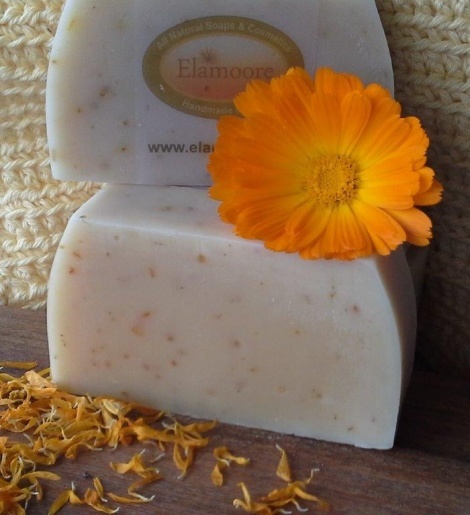 Chamomile is often used in lotions and ointments as an emollient. Emollients help to keep the skin moist and flexible, thus helping to prevent cracking. Chamomile is believed to have a healing and rejuvenating effect on the skin.